Hello beautifuls, hope you are rocking this TGIF!! 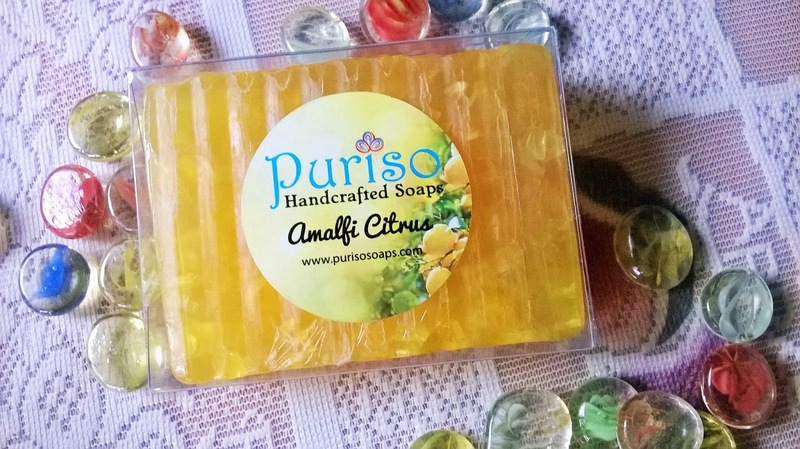 You must be knowing that I am very much inclined towards anything organic and handcrafted, specially when it comes to soaps. 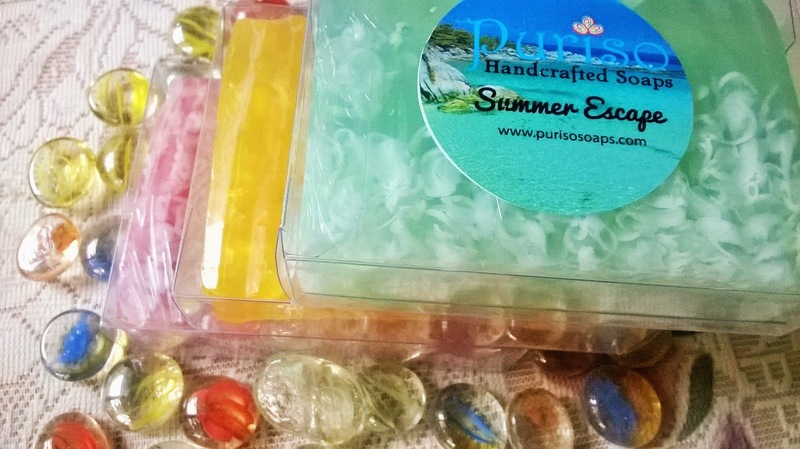 Today I will be doing a sneak peek on Puriso Handcrafted Soaps, who were kind enough to send me few of their luxurious creations. 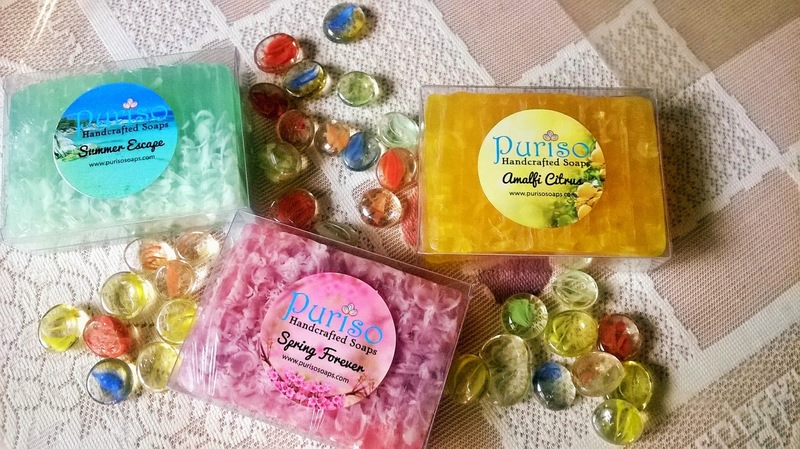 Puriso Handcrafted Soaps are a company dedicated to ‘Health & Wellness’ which reflects in their product as well, keeping in tandem with their rich expertise, experience and rigorous research & endeavors in the field of Natural Health & Wellness. 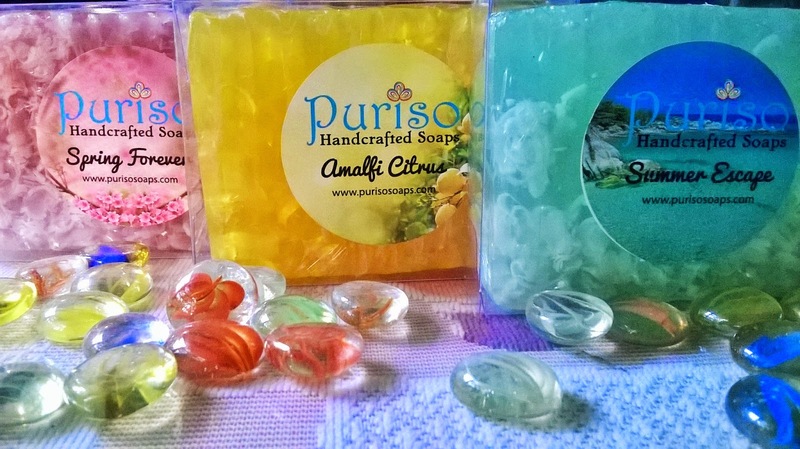 The products of Puriso Handcrafted Soaps are a combination of Nature, Fragrance and Art. Their fragrances evoke human senses and the name "Puriso"stands for Purity, Freshness and One-ness with nature. 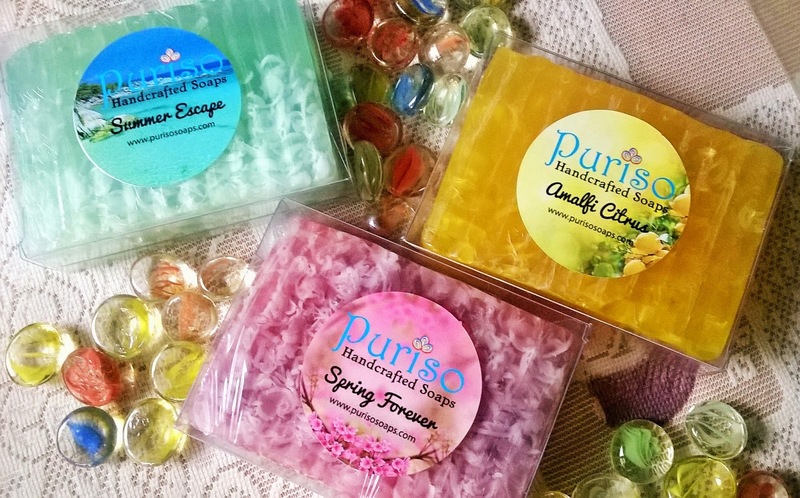 Puriso soaps are HandCrafted with essential oils and skin caring ingredients, especially “Glycerine”, which is a humectants, absorbing water from the air, thus attracting moisture to the skin. Refreshing fragrance of cool cucumber. Great for the summers!! It is rich in glycerine, 100% Vegan and not tested on animals. It is made with carefully picked ingredients like cocoa butter, shea butter and vitamin E oil. 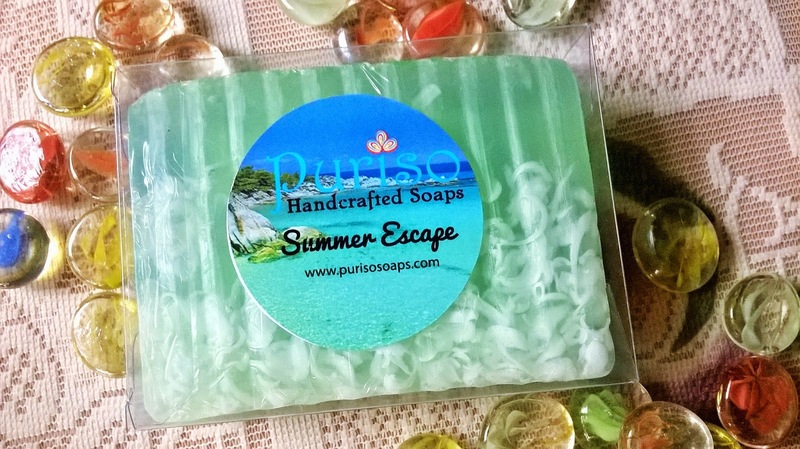 Beat the heat with summer escape!! Spring forever bathing bar comes with a very soft and romantic floral fragrance of early spring rose. This bar is creatively designed in hues of pink and purple. It is rich in glycerine, 100% Vegan and not tested on animals. It is enriched with goodness of natural ingredients like cocoa butter, vitamin E oil, rosewood oil and grape seed oil. Feels good!! Smells divine!! 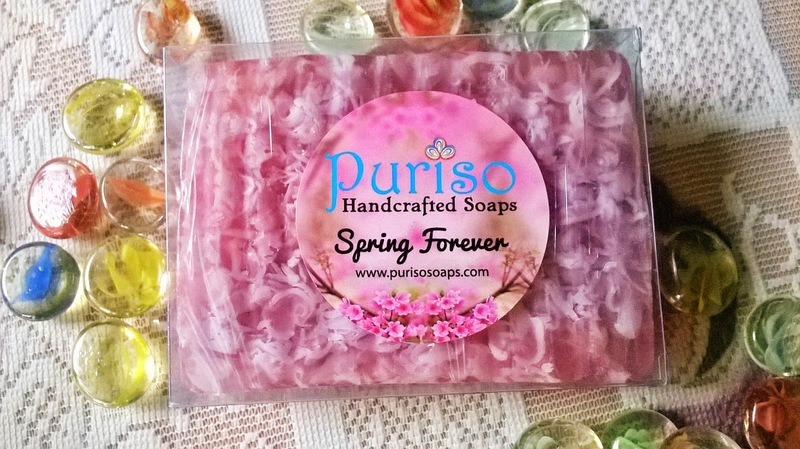 These Puriso Handcrafted Soaps are literally a visual treat and even from inside the secure packaging I am getting the wonderful aroma of the soaps. I will be reviewing these soaps one by one. Stay tuned! !